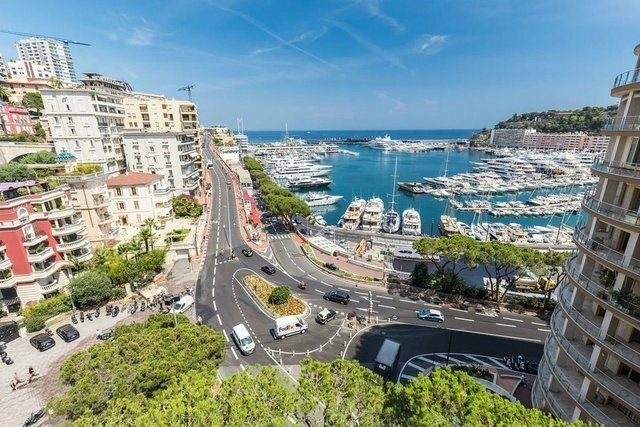 Located in the heart of the Principality, this magnificent 1045m2 apartment is just a few steps from the starting grid line of the Formula 1 Grand Prix. It boasts an incredible view on both the race circuit, and the Port Hercule. Completed with a highly secured building, the apartment occupies the entirety of the 9th floor. This prestigious place will meet the expectations of a demanding clientele who want an exceptional place to live in. The apartment is not limited for residential use, as it can also be transferred into an office. It also has 4 private parking spaces and 5 cellars. Wide Reception rooms (living room, dining room,...) of approx. 157sqm - Private Cinema fully soundproofed (can also be used for audio recording) 2 Master Bedrooms (75 m² per room, each with it’s own bathroom and dressing) 2 Rooms with it’s own bathroom and dressing (33m² per room) 2 Rooms with it’s own bathroom. (27,5 m² per room).